The cost of making quality recordings and distributing music is an obstacle to many independent musicians. A Kentucky nonprofit is trying to change that. KentuckyJam.org has announced that the next artists to receive assistance to self produce their music will be Bookends of Northern Kentucky. Joseph Lawal and Savannah Merlin are Bookends. The couple, engaged to be married this year, created a musical duo and have since been playing folk venues in Northern Kentucky, Lexington, and Cincinnati. 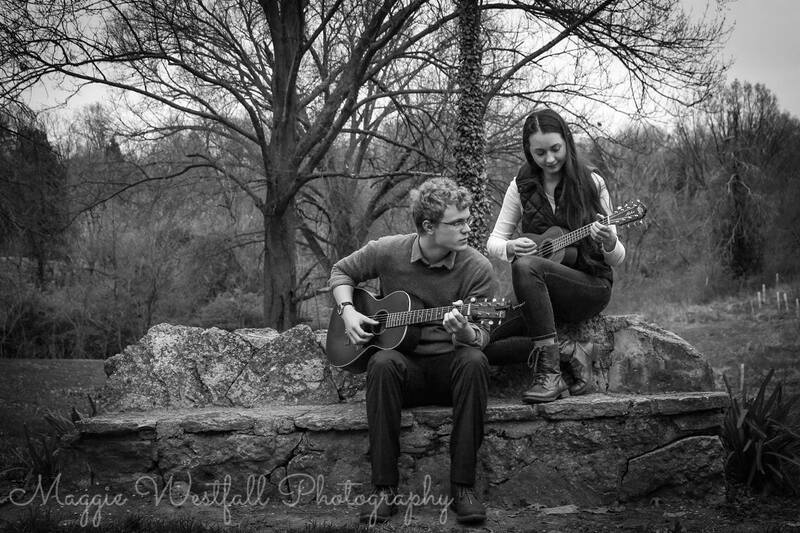 Also appearing on local radio, Joseph and Savannah use a variety of acoustic instruments to back their beautifully blended voices. The duo credits their lyric style to the influence of artists like The Avett Brothers, Tom Waits, Doc Watson, and The Milk Carton Kids. Bookends’ effortless harmonies have been compared to Simon and Garfunkel. The music for Bookends’ upcoming CD will feature soothing vocal harmonies blended with acoustic instruments that together create a captivating sound. Founder and president of KentuckyJam.org, Michael R. Cavitt, says that Bookends is an excellent example of the kind of artists KentuckyJam.org was created to help. “Bookends is a young duo just getting started. We are pleased that our charity can help them record and spread their music. They deserve it,” says Cavitt. KentuckyJam.org is a 501(c)(3) non-profit organization that helps Kentucky area musicians record and self-publish their music. The organization selects Kentucky area musicians, who have at least 25 minutes of original material and, at no cost to the musician, makes a professional-quality, digital recording of their music. “Kentucky is full of talented musicians whose music deserves to be shared. Many aren’t, for various reasons, in a position to record and produce their own music. We established KentuckyJam.org as a 501(c)3 nonprofit so that donations to help musicians record and produce their music are tax-deductible. Board members and officers of KentuckyJam.org are volunteers. Our goal is to keep operating costs at a bare minimum so that KentuckyJam.org funds can be used to help as many musicians as possible,” says Cavitt. The recordings are fully produced, and then CDs of the collection are printed. Some of the CDs are submitted to an online retailer ,who in turn submits the music to further retailers for streaming and download. The musicians’ songs are registered with US performing rights organizations that help collect royalties for musicians when their music is played on radio, television, live venues, etc. All accounts are registered in the musician’s name, who then collect any and all profits from sales. KentuckyJam.org operates solely on donations, not on the sales of music.